Looking back upon lessons to be learned concerning Hurricane Sandy the following conclusion jumps to foreground. The collective character of the people, just as an individual’s character, is known by one’s actions. Nothing shows the character of a nation or individual like adversity; for what credit is it to us when we do what’s right when everything is going our way? So what can we learn about the character of our nation that has been showcased during our recent large-scale disasters? 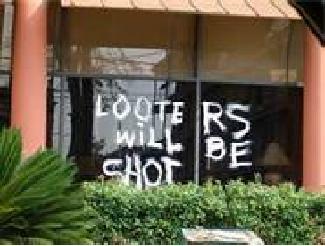 In the aftermath of two hurricanes, Katrina and Sandy, opportunistic looters ravaged the cities, breaking into shops and homes. Sometimes this occurred right in front of law enforcement, and shamefully, some members of law enforcement were even involved in the looting. While those taking advantage of others do not represent the majority of people riding out the storm, these actions serve as the canary in the mine for us: a warning sign that as a culture we are headed in the wrong direction. We can look over the Pacific Ocean for a recent contrast to our response in the recent tragedy in Japan. The world marveled at the stoicism and community response, the scarcity of looting or price-gouging, and lack of complaining as the Japanese pulled together, rolled up their sleeves, and quietly got to work. They stood calmly in orderly lines for hours for basic necessities such as drinking water, and if the water ran out before the line did, quickly and quietly dispersed without complaint. No one incident can tally the total character of a culture or nation, but it can show us where our strengths, and more importantly our weaknesses, lie. When looting takes root in a city it leaves a stain of shame upon its citizens. Proverbs 14:34 reveals that character does matter to a nation: Righteousness exalts a nation, But sin is a disgrace to any people. General David H. Petraeus was forced to resign from his job as director of the CIA earlier this month. The adultery scandal that hurt his wife and children also hurt the United States and Israel. From Israel’s perspective, the General understood the Iranian threat. Israeli intelligence has asserted that Petraeus was clear in his thinking and fully appreciated that it was not possible to cut a deal with Iran over its nuclear weapons program because the larger headache is the Iran’s rabid anti-American stance. He understood that Iran’s final ambition is to drive the United States from the Middle East—a disengaged American Middle East foreign policy hurts Israel. Another observation concerns the Iranian Qods Force, whose mastermind, Qassem Suleimani, is considered by Petraeus to be a personal enemy; he also is one of the greatest threats to Israel. Michael Gordon and Bernard E. Trainor’s new book The Endgame: The Inside Story of the Struggle for Iraq, From George W. Bush to Barack Obama, reveals that Suleimani answers directly to Supreme Leader Ali Khameini. Recently Suleimani helped to buttress Bashar al-Assad’s beleaguered dictatorship in Syria and he played a part in the plot to assassinate the Saudi ambassador to Washington. Petraeus understood what the word “enemy” means. 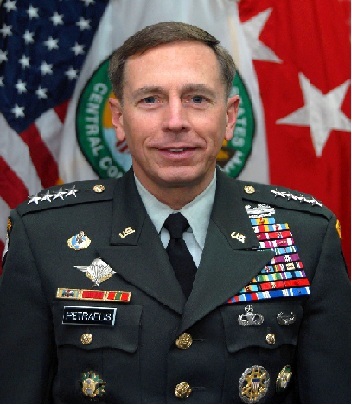 During the course of almost a decade, Petraeus became an expert of all of Iran’s activities directed against the United States and its allies. The General confronted Iranians who warred against the United States using proxies such as militia groups. His experience in the region is invaluable: He was commander of American forces in Iraq from February 2007 to September 2008 and in Afghanistan from July 2010 to July 2011. As head of Central Command from October 2008 to June 2010, the general came to see how Iran infected nations in the region which included the countries of Syria, Lebanon, Yemen, the Persian Gulf states as well as Iraq and Afghanistan. Israel did not always agree with Petraeus, but Israel came to appreciate that he understood the Iranian threat to America and did not ignore it—under his leadership Iranians operating in Iraq were killed. Many American military and civilian leaders chose to ignore the Iranian threat in Iraq until general Patraeus was installed as leader. By the end of 2008, all Iranian-backed militia leaders were dead or forced to flee back to Iran. From the Israeli perspective, Petraeus understood Iran’s thinking and tactics, and experienced fighting them in the Middle East theater of war. His departure from the world of terrorism is a great loss to Israel. It is a personal, family and national tragedy that general Petraeus did not heed the words of the Apostle Paul in I Corinthians 6:18: “Flee Sexual Immorality”. We often do not appreciate that following God’s law protects us from painful consequences. When His Commandments are ignored we hurt family, friends and country. What Will Egypt Do About Israel & Gaza? Egypt is debating on what to do about the Gaza crisis. Egypt supports the terrorist leadership Hamas, that rules the Gaza strip—but the question is how much support does Egypt give to Hamas? Egypt has a relationship with Israel that needs to be respected—too much support thrown Hamas’ way can do damage. The great concern for Israel is that weapons are being smuggled across the Egyptian border by Jihadists, and getting into the hands of Hamas in Gaza—these weapons, including short ranged missiles, are being used against Israel. Hamas is the Palestinian version of the Muslim Brotherhood. The Egyptian Muslim Brotherhood now presides over the whole nation of Egypt and must take into account security concerns regarding the border with Israel. So Egypt is wrestling with supporting Hamas without ruining its relationship with Israel. 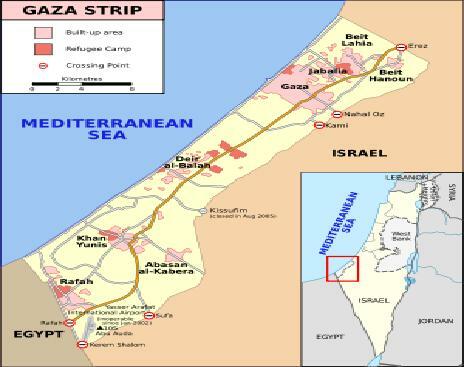 Egypt has a treaty with Israel, and cannot afford to see fighting in Gaza spill over into Egypt. Or worst of all, Egypt cannot afford a war right now with Israel. The Morsi government in Egypt is in the process of solidifying its power, and Egypt has severe financial problems—they do not want to be drawn into a war with anyone. At the same time, the Morsi government in Egypt cannot afford to abandon Hamas. The Brotherhood’s Islamist reputation is weakened if it is seen as not helping Hamas and the citizens of Gaza. Salafists and the Jihadists in Egypt would use the opportunity to show that the Brotherhood ruling in Egypt is weak—and what Egypt needs is a strong strict Sharia oriented government (a government ruled by Jihadists) that fully supports Hamas against Israel. Remember, the Morsi government has its enemies in Egypt; those enemies are Jihadist Muslims who want to rule the nation. Ever since Morsi became president, an overarching concern has been how he will handle the Egyptian-Israeli relationship. The question that remains is will the Brotherhood-led administration seek to have a workable relationship with Israel? Maintaining a relationship with Israel is Egypt’s best and most pragmatic solution. What will Egypt do about Gaza? Israel and the world is watching. Will Israel Be Drawn into Syrian Civil War? The series of blasts that have targeted Alawite-dominated areas in the Syrian capital Damascus over the past days aim to fan the flames of sectarian anger in the country. 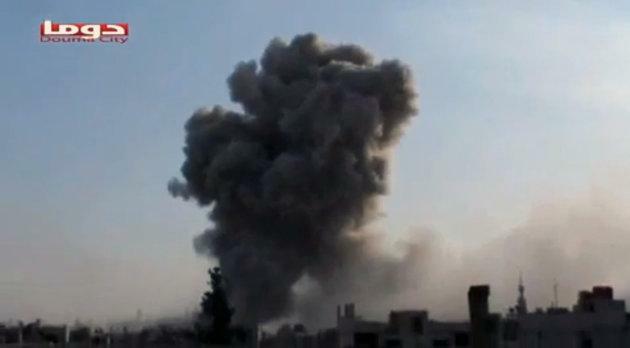 At least 11 people were killed and scores of others wounded when a booby-trapped car sliced through Damascus’ al-Mazeh 86 district, a district known for being dominated by the Alawite minority, to which Syrian President Bashar al-Assad belongs. But most disturbing was the October 19th assassination of Sunni General Wissam al-Hassan in Lebanon–a reminder of just how fragile the peace in Lebanon is. Wissam al-Hassan, a top Lebanese security official was a longtime critic of Syrian President Bashar al-Assad; he paid with his life for criticizing Assad. The Sunni community was enraged by the act—Syria is ruled by the Al Assad family which is a friend of Iran. Could this be a forerunner of things to come in Lebanon—a renewed Shia, Sunni war that could again ravage that tiny nation? The fear is that the Syrian civil war may spread to Lebanon…this in turn could create a panic in the world oil markets. Syria still exerts considerable political clout in Lebanon despite having withdrawn its troops in 2005. Lebanon is a tiny country that lies just north of Israel, it has a population of just 4.3 million people. The country is held together by a loose cabal of adversarial factions. The country recognizes 17 religious sects. 27% of the population is Sunni; 27% Shia; 41% Christian; 5% Druze. Ethnic loyalty far outweighs any loyalty to the State. People look to Militias to protect them. Intelligence sources are reporting that a growing number of Sunnis are looking to extreme Islamist groups to serve as that protective hallo. Tensions between Sunnis and Shiites is rising. Don’t forget that the Shiite militia in Lebanon and political movement is backed by Iran and Syria. Lebanon could quickly erupt into civil war. As Syrian President Bashar al Assad’s regime falters, Shiite militant group Hezbollah is working on a strategy to ensure its long-term survival. Hezbollah’s goal is to maintain a strong military, and economic presence in Lebanon; Iran shares Hezbollah’s aim of ensuring that the militant group maintains a strong long-term presence in the Levant. Sunnis on both sides of the Syria-Lebanon border, are being encouraged by Turkey, Saudi Arabia, France and the United States, to take advantage of Hezbollah’s dilemma. Syria is struggling to survive and cannot offer Hezbollah the support it once enjoyed. Iran still supports Hezbollah, but Iran is having financial problems and is limited in its ability to aid their friends. Looking at the wider Middle East landscape–Arab unity is a rare occurrence, but slowly a common goal is bringing the different peoples of the Arab world together. This common purpose is the desire to destroy the nation of Israel and its greatest friend, the United States. Why is Lebanon important? It is the home of the terrorist regime Hezbollah—it is highly probable that Hezbollah will go to war against Israel in the near future. A new civil war in that tiny country would create a much greater uncertainty in the Middle East—and uncertainty in that part of the world almost always leads to war. Syria is unraveling—Lebanon may be next, Israel is deeply concerned that civil wars may bring even more dangerous leaders into positions of power.